SKS Dental is the dental practice of Smita Sabharwal DDS, FAGD. Dr. Sabharwal is a Northern Virginia native. 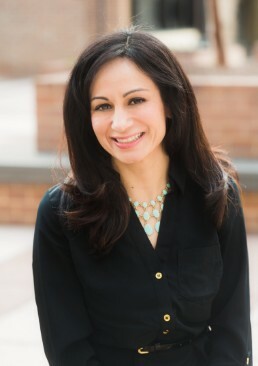 She grew up in Burke, VA, and currently resides in Herndon, VA with her husband and two sons. She enjoys reading, gardening and watching football with her family. A beautiful smile starts with healthy teeth. 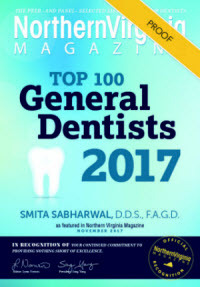 For more than 14 years, Dr. Smita Sabharwal has been providing exceptional dental care to residents of Northern Virginia. We use the latest technology to make your visit comfortable and stress-free. Dr. Sabharwal has received her Fellowship in the Academy of General Dentistry (FAGD), which represents an achievement that only 7% of general dentists ever receive. 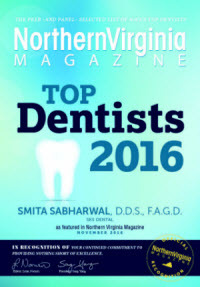 Dr. Sabharwal was recognized by Northern Virginia Magazine as a “Top Dentist” in 2016 and 2017. Congratulations to Dr. Sabharwal and the SKS Dental team on being selected as one of Arlington's best dental practices! Dr. Sabharwal is committed to providing the highest quality care to her patients. She regularly attends continuing education seminars so she can stay up to date on the latest technology and techniques in dentistry.